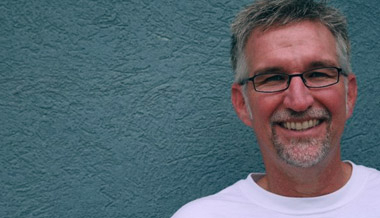 Ron Lewis is a pastor, artist, father, son, husband and Kingdom stategist living in Alabama. Over the last 30 years Ron has had the privilege of sharing the Gospel story in places as varied as India, the Philippines, Kenya and Papua New Guinea. In 2011, after a 22 year ministry in Houston, Ron and his wife Pam moved to the small community of Lanett, Alabama to begin a new chapter in their lives. Ron is the Senior Pastor of Spring Road Christian Church where he teaches regularly on Sunday mornings as well as Monday evenings at "Feast", a college ministry to Point University, Ron's alma mater. Pastor Ron Lewis offers his take on the holiday expression "The Reason for the Season"... and Christmas sweatshirts. Pastor Ron Lewis talks about bringing the translation of the book of Mark to the Akukem Tribe in Papua New Guinea. Does the art of our lives reflect the belief that there's something worse than death? Pastor Ron Lewis questions the pithiness of the Season's gift cards. With $14 billion spent on Mother's Day, have we lost touch a bit with the Mother's Day story?